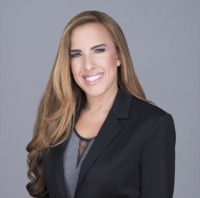 An effective communicator and passionate individual, Barbie Garcia is a Realtor ready to assist you with any of your real estate needs in the South Florida region. She has excellent marketing and customer service skills, and ultimately treats each one of her clients like a friend. Her outgoing personality and willingness to help make her a pleasure to work with. Her experience working on the corporate level for one of Florida's largest brokerage's gives her a unique insight into the real estate industry. She received a degree from the University of Florida in communications & Leadership Development, and speaks both English and Spanish fluently. Her experience includes property management, social media marketing, sales and green building design. As a LEED Green Associate she strives to help clients find homes that are green,sustainable or help mitigate the effects of climate change.